20 years of hit songs that helped shape modern day Australian Country Music including Dirt Track Cowboys, Grandpa’s Piano, Good Friends, The Anzac, New England Highway, Get Loud, Hell of a Ride and more! In true Adam Brand style, he will share this 20 year Milestone by taking his music, his show and his heart to the people. 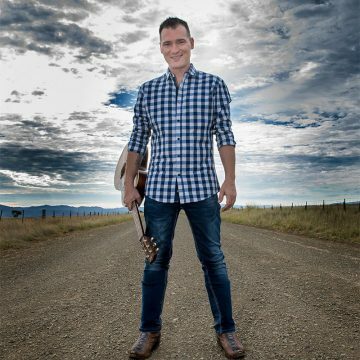 From your classic Aussie country pubs to the capital city showrooms, Adam Brand will bring his trademark energy to venues right across the country. His new song Milestone, tells the story of a young man who set off in search of his dreams. It reveals an incredible journey that shaped a life and led him to still be standing in front of his fans after a career spanning two decades. We all have a journey … and we all have dreams …. This show will make you want to laugh, cry, then get up on your feet and do it all again the next night! Milestone is the song … 20 Years Milestones is the album and tour ….